Eagle-eyed fangirl Stellypippin picked this one out of Free and Easy. If you recall (or don't), Elvira and her mom get invited to the premier of the latest Larry Mitchell movie, The Love Call. If you're quick, you'll spot that the film they're playing is actually Untamed. Not quite a photo, but just as entertaining - adorable movie poster for Here Comes Mr. Jordan. 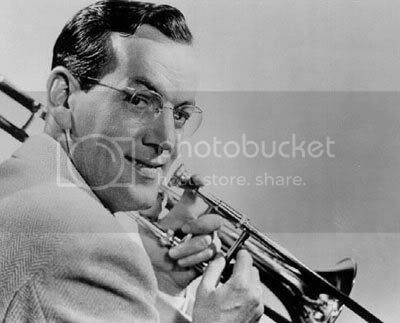 I want to put my two cents in for a film I watched just last week - The Glenn Miller Story. 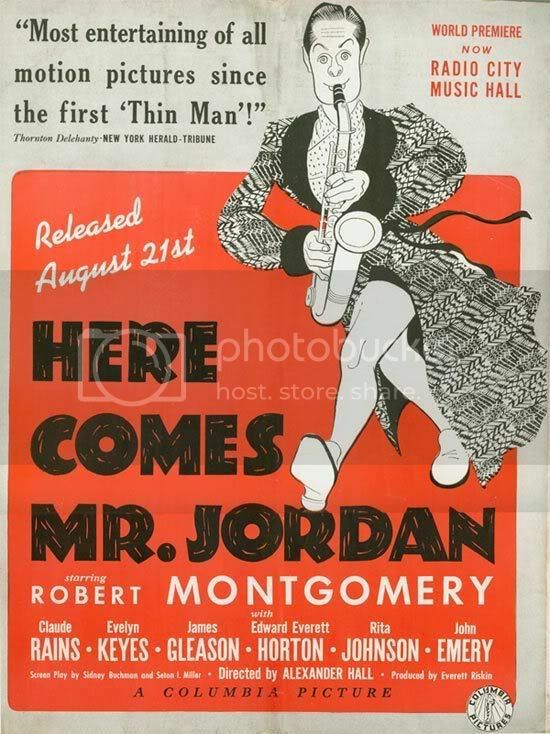 I love Big Band music, so watching this was a blast. 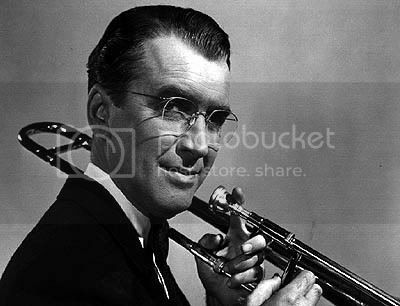 The music was a pleasure to listen to and James Stewart is excellent as Glenn Miller. And it wouldn't be a 50s Jimmy Stewart film without June Allyson as Glenn's wife, Helen. 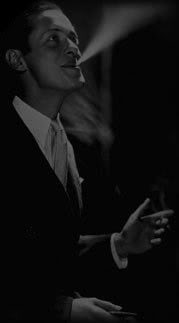 There's one night club scene where Louis Armstrong (in the flesh) invites Gene Krupa (in the flesh), Glenn & other music notables to the stage to "jam." Beautiful. The story of Glenn's disappearance has always been an interesting one, suitable for Unsolved Mysteries. Just before Christmas 1944, the aircraft he was flying on disappeared en route to Paris. One theory was his plane was accidentally bombed from above - the theories continue to this day. 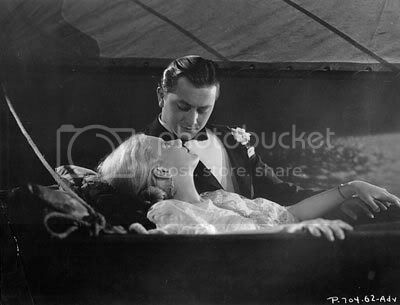 If you're in the mood for a soap opera on film, I've got one for you: The Right to Romance, starring Ann Harding and Robert Young. 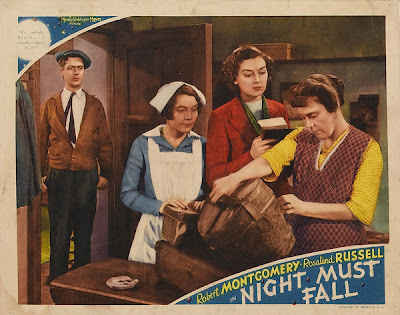 Ann Harding plays a plastic surgeon, Dr. Peggy Simmons. Talk about ahead of her time - her character's strength is a nice change of pace. Dr. Simmons is hounded by wealthy female patients wanting to recapture their youth (and by referring physicians!). She excels at making women beautiful with the scalpel. She's so well known that she's on the edge of burnout and just wants to escape for a while, to be a female - to have the right to romance. 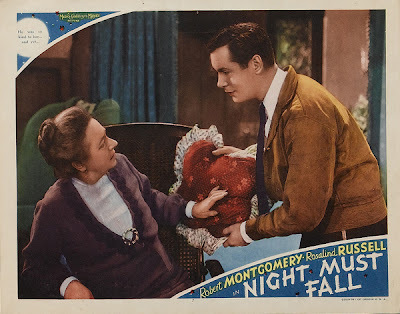 Escaping a few days to the seacoast, she catches the eye of a somewhat reckless flyer, Bobby Preble, played by Robert Young. 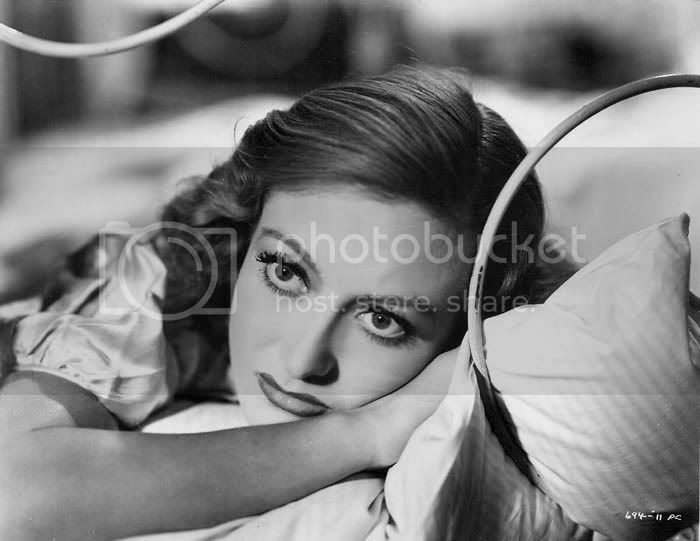 They get married a few days later, but marriage becomes a bore for Bobby after a short period of time. Bobby gets caught cheating with his ex girlfriend in their own home. You really want to slug Bob after watching this film. Here's where it get soap opera-like. Bobby and the ex go flying and crash. Bobby is fine but the girlfriend is scarred. It's up to Dr. Simmons to reconstruct her face so she can be beautiful again for Bobby. Oh the pressure! Clip and snip there and everyone's fine. Dr. Peggy realizes her true love was always under her nose - make that down the hospital hall - with researcher Dr. "Heppie" Heppling, played by Nils Asther. Nils and Ann are a pleasure to watch in this film. 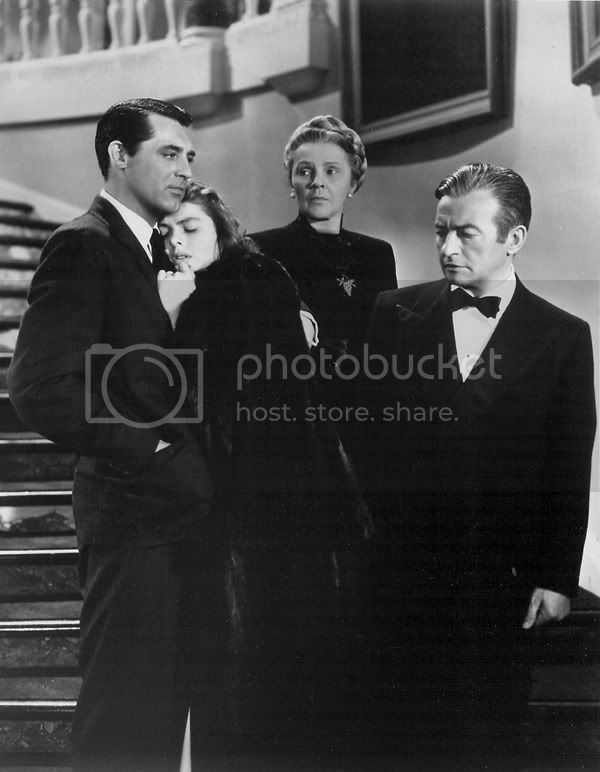 Devlin sneaking Alicia out - a scene from Notorious - arguably one of Hitchcock's best films. Now that'd I've run out of Bob radio shows (for now), it's time to start hunting for more - and I need your help. Below is a list of needed shows. If you have any, and would like to share, please leave a comment! 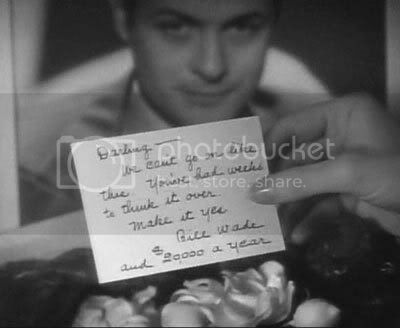 The list is from information off of the Earl of Hollywood web site. A full list of his shows is also available on the site. 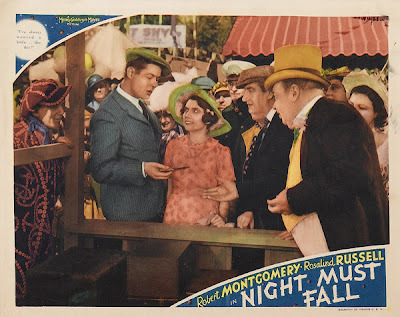 I was just reading about a planned remake of Hitchcock's Strangers on a Train. I'm not sure what side of the fence to stand on this one. 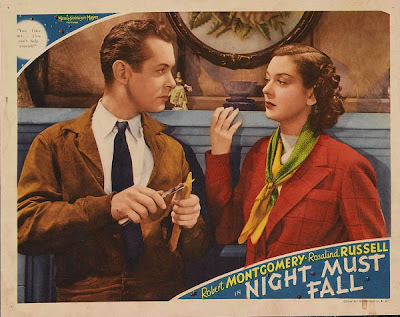 I'll be able to decide once they cast Robert Walker's character. Although, I must admit, an interesting twist would be making Guy and Bruno's characters female (with a name change, of course). It's awfully heavy. . . I wonder what's in it? He was so kind to her. . . and yet. . .
John who? I guarantee after you see his face you'll recognize him. There's an interesting post on Movie Morlocks about him. It's February 2, 1939 and you're about to listen to The Count of Monte Cristo on the Lux Radio Theater. 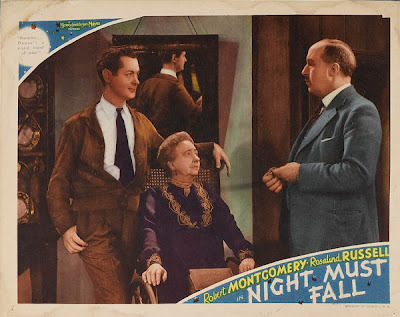 Tonight's presentation includes Robert Montgomery as Edmond Dantes, Josephine Hutchinson as Mercedes, and Lloyd Nolan as Danglars. And when you're done listening, hop in the car & go see Fast and Loose - it's playing at the local theater. With this post, I'm out of Bob radio shows. There's still more - it's just a matter of locating them or discovering if they're lost. If there's anything I hate, it's spying! 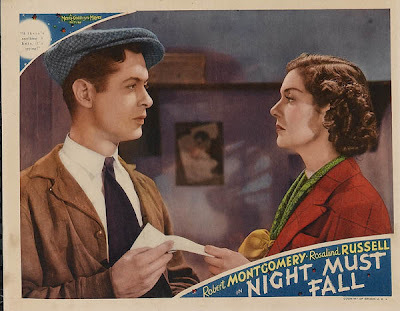 Robert Montgomery gets animated in this ad from Showmen's Trade Review, August 9, 1941. 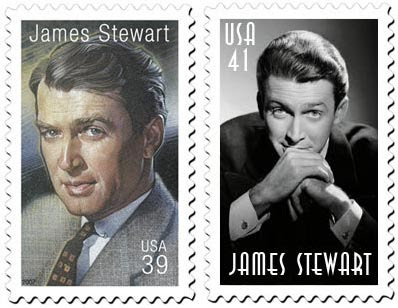 I was just looking into the stamp rate increase and discovered the USPS is issuing a James Stewart stamp in July as part of their Legends of Hollywood series. USPS.com reports: The stamp is a portrait of Stewart based on a publicity photograph for The Stratton Story. 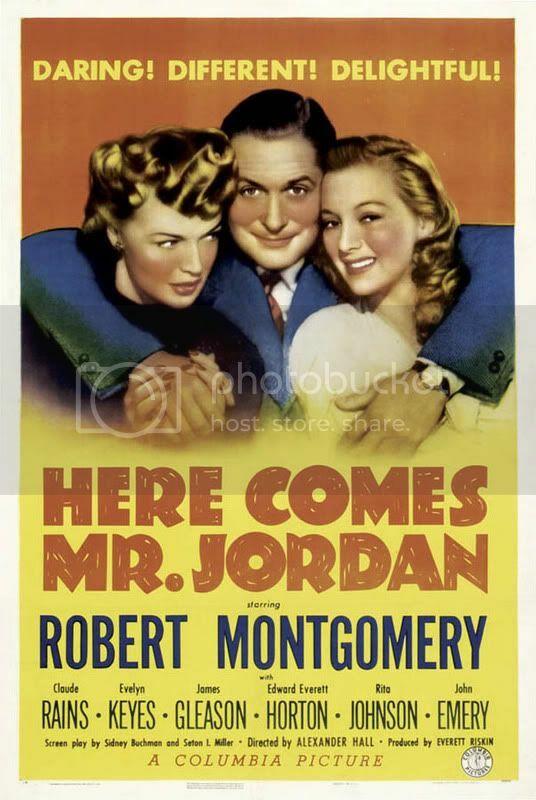 The painting on the selvage shows Stewart in Mr. Smith Goes to Washington, the 1939 film for which he received his first Academy Award® nomination for "best actor." The one on the right is my "concept"
Last week, the 1944 Suspense version of The Lodger was featured. 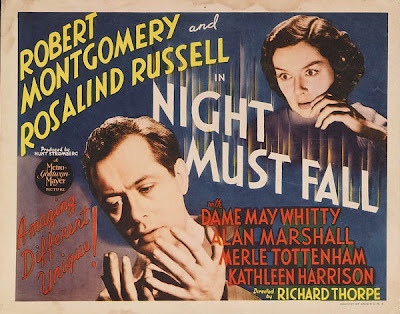 This week, it's the February 14, 1948 Suspense presentation - which is also a bit longer at one hour. 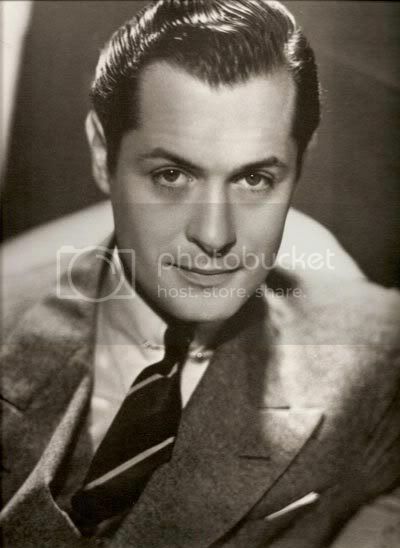 Robert Montgomery scores a hat trick as Suspense producer, storyteller, and the lodger. So sit back, and say hello to the Avenger. I love Groucho Marx's television show You Bet Your Life. It's only fair that when I saw comments & screen grabs on James Lileks' Bleat today that I got a giant smile on my face. It's nice to know I'm not the only person that ever looked up a guest on that show. More clues coming up on Amelia Earhart's disappearance - shortwave radio broadcasts - ebay is involved. I'm convinced they'll figure out what happened to her some day. It's been 70 years this year.